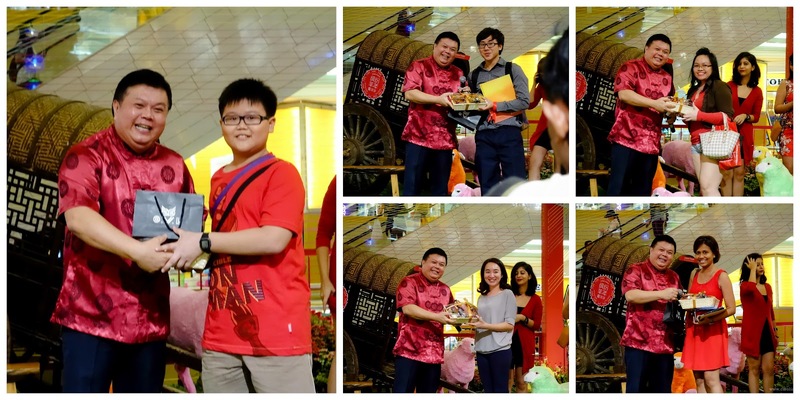 Anyone of you attended the "Year of the Sheep" gathering in Sunway Pyramid? 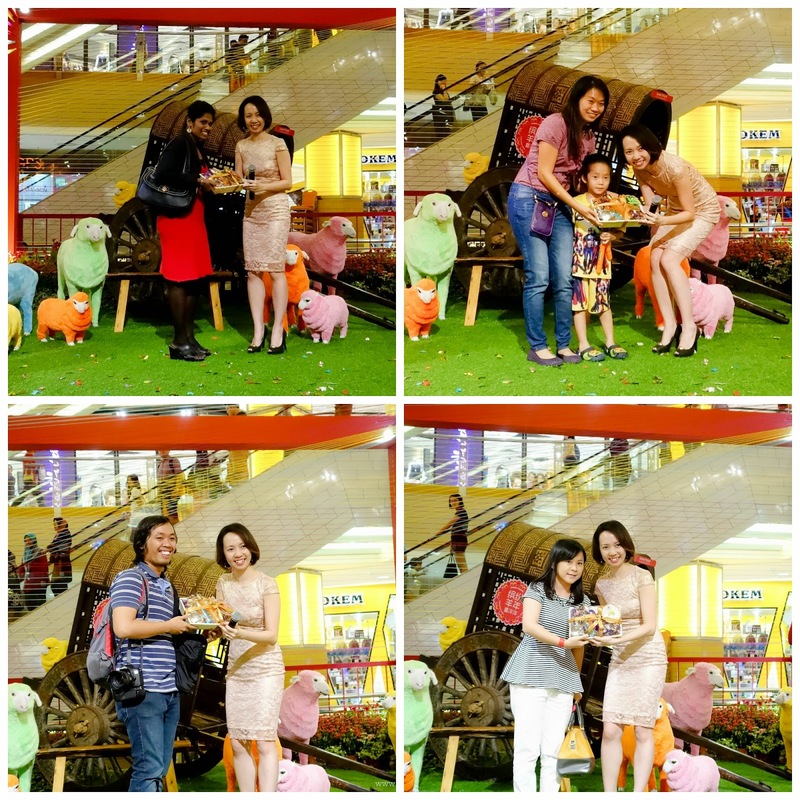 Sunway Pyramid shopping mall organized a gathering in attempt to make it the largest gathering for those who were born in the year of the Sheep! It was a night and number to remember as colourful sheep, shoppers and staff (who were born in the year of the Sheep), totalling 168 ‘sheep’ (which symbolically means ‘Pathway of Prosperity’ or ‘Prosperous together’) gathered at Sunway Pyramid Shopping Mall to celebrate in unison with music, dance, food, and a rather unique ‘wefie’. Participants of the gathering performed a specially choreographed flash mob which featured a mashup of music from modern English pop and traditional Chinese tunes. And we also realized we're in the middle of the flashmob dancers! It was fun trying to follow the dance stop too! Nearing the end of the flash mob, participants also took part in a unique wefie of ‘Sheep’ and also forming the Chinese character "sheep" (yang). The wefie brought the community together with generations of ‘sheep’ aged 12 to 72 in attendance. Sunway Pyramid also prepared a rather grand "lou sang" session for all of the guest on that night! You can hear everyone start tossing their "yee sang" high in the air whilst saying out loud wishing for good health to everyone, prosperities, abundant of luck etc! It was truly merrier session! Of course, not forgotten about the lucky draw session! Congrats to all the lucky winners! 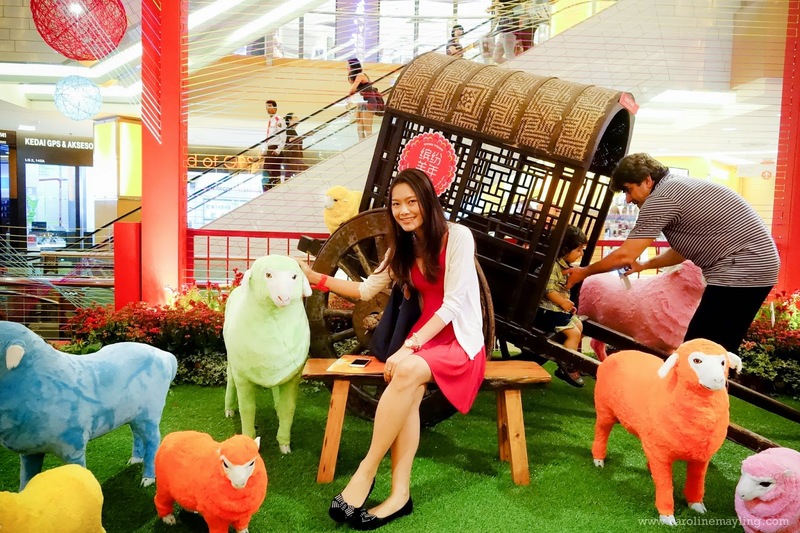 From now until 22nd February, shoppers will be treated to Sunway Pyramid’s ‘Cheery Woolly Spring’ campaign which features a flock of adorable, fluffy and colourful sheep. In line with the woolly theme, strings of multi-coloured yarn are intricately woven through fences and huts, creating texture, abundance and warmth which symbolises the meaning of hope through springtime and the plural society of Malaysia. In the spirit of spreading wealth and prosperity, shoppers can spend RM250 (RM150 for HSBC Credit Cardholders) in 1 receipt* to redeem a set of limited edition All Season Prosperity Ang Pow, adorned with delicate and delightful spring flowers. Also, get the exclusive Fluffs of Joy Sheep Pillow Pet Redemption by spending RM1000 (RM800 for HSBC Credit Cardholders) in 3 receipts, available in 5 huggable candy colours. Whilst going about festive shopping, the mall has prepared FREE Porter Boy & Buggy Services at 11am to 11pm from now until 18th February. Hop on for a free ride on the Buggy (call 010-2897 509), available daily at selected car park entrances or let our Porter Boys (call 011-2888 7736) help you with your shopping bags on weekends and public holidays. Heat up your fun shopping adventure with the remarkably daring and skilful lion dancers, spreading cheer and fortune with mandarin oranges at 3pm at the LG2 Orange Concourse on weekends and public holidays. Meet and greet Sunway Pyramid’s playful mascots Leo and Leona as they make their rounds distributing prosperity goodies at 1pm, 3pm and 5pm on weekends and holidays. Unleash your inner artist with free Chinese calligraphy and sand art workshops happening on selected weekends at 2pm. For more information on Cheery Woolly Spring, visit www.sunwaypyramid.com or call 03-7494 3100.